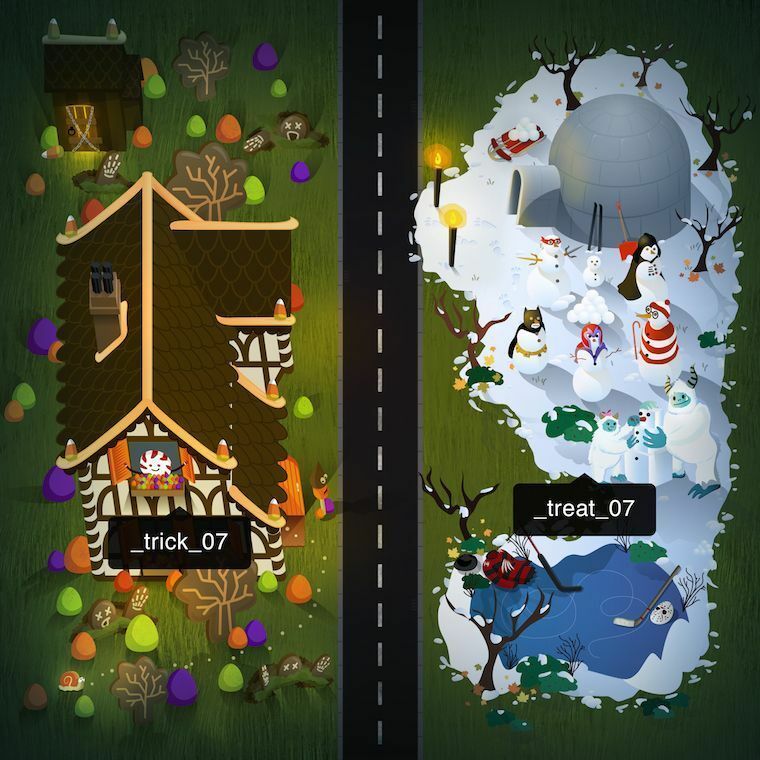 Target invites you to experience Halloween Hills, a new destination for digital DIY content “housed” in a playfully haunted fantasy neighborhood. It’s a trick-or-treating adventure for grownups — no costumes required. In fact, all you need is a smartphone and an Instagram account. There are 30 DIY recipes and craft projects lurking within the shadowy nooks and crannies of Halloween Hills. 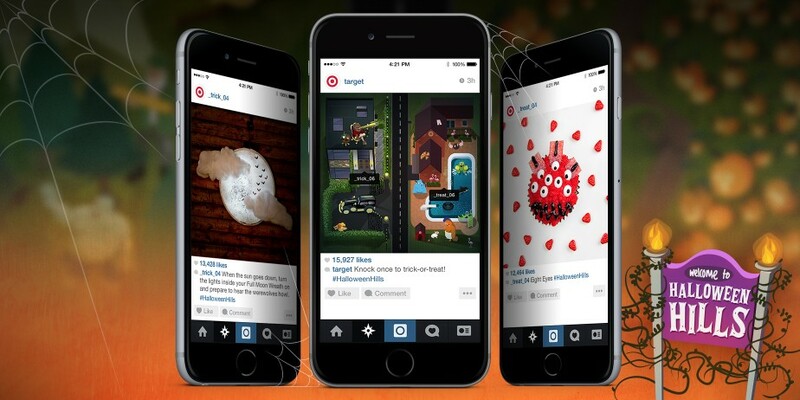 To access them, make sure you’re following @Target on Instagram — this sweeping pop-up Halloween experience is not to be missed. 1. 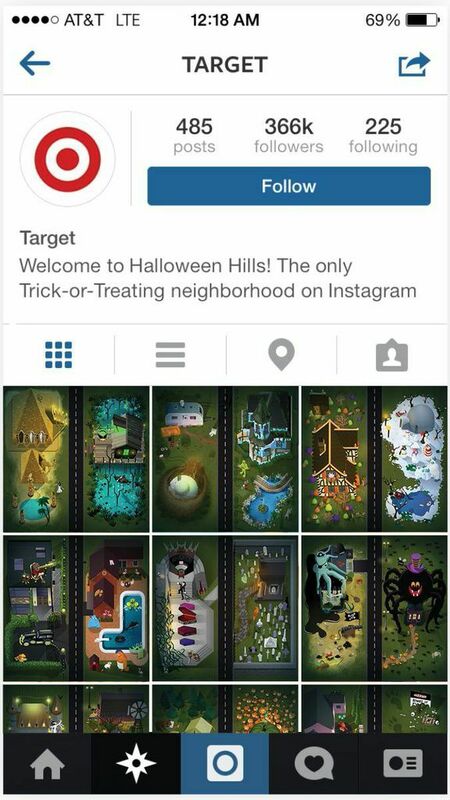 Trick-or-treaters step into @Target’s Halloween Hills, a nabe made up of illustrated “homes” (and their ghoulish inhabitants). 2. 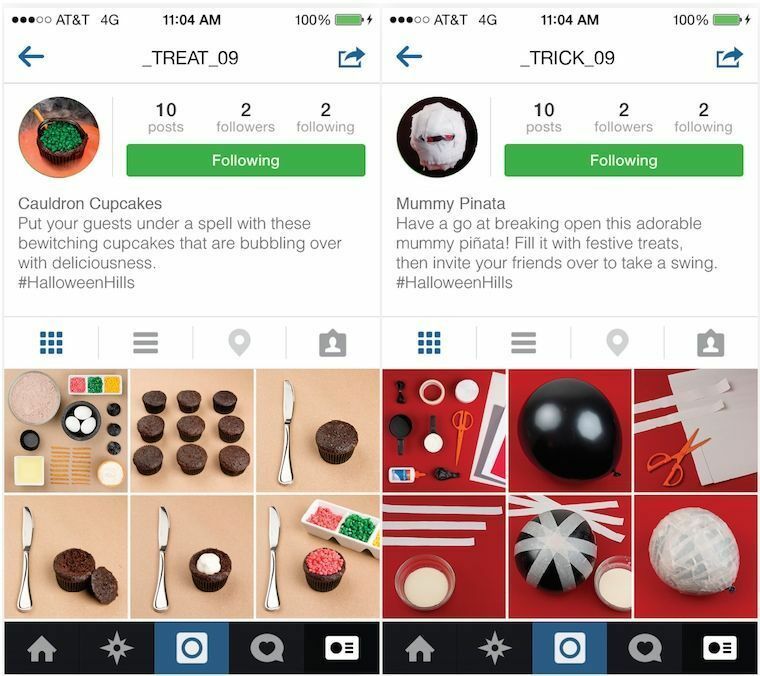 After gathering their courage, trick-or-treaters knock once (read: tap), at any of the houses, selecting a “trick” or a “treat” when the tags appear. 3. Behind each door? Inspirational, scary-clever DIY step-by-step photo tutorials of fun, family-friendly crafts (“tricks”) and yummy snacks (“treats”) housed on different accounts. The Mummy Pinata and Cauldron Cupcakes projects shown below are just a tiny taste of the possibilities. Halloween Hills will be aliiiive…muahahaha (sorry, we had to) through Oct. 31. New “neighbors” are joining the party throughout the next week, so check back often to see what’s new. Trick-or-treaters who dare to re-create the DIY projects are encouraged to share their spooky specimens using the hashtag #HalloweenHills.